If you’re treating some sort of acute or chronic condition, or you’re simply looking for a way to improve and maintain your foot health, orthopaedic-friendly shoes are a great asset. They can help treat and prevent everything from blisters, to bone spurs and arthritis — all of which can be caused by wearing improper or ill-fitting footwear. When you decide to make the jump to a healthier shoe, there are some characteristics to keep in mind. A few key elements on the inside of a shoe can make all the difference in the world. 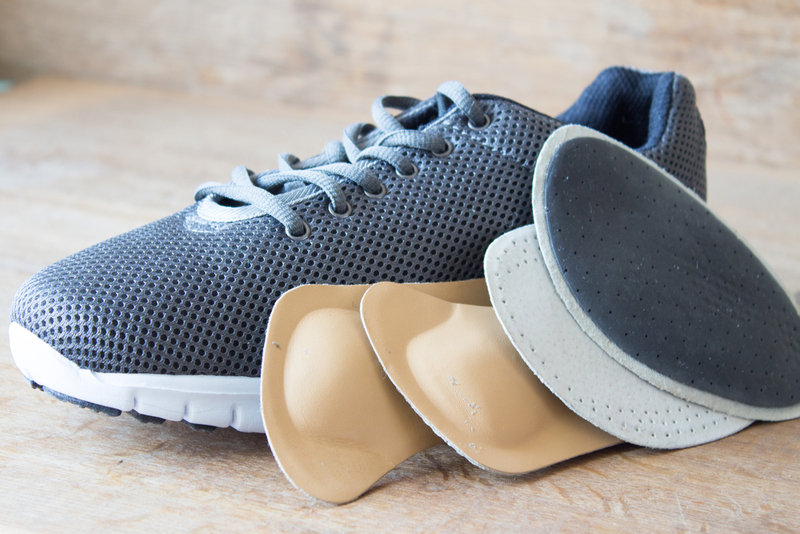 Your orthopaedic-friendly shoes should provide adequate support, support your foot’s arch, and provide enough room for your toes to move around. Toe room is especially important, as shoes that are too tight can cause joint issues, irritation, and calluses over time. Every person’s feet are different, and it is important to take steps to make sure your shoes accommodate your specific needs. If you can’t seem to find the perfect pair of shoes, orthopaedic inserts for your existing shoes may be a perfect compromise. Certain flat inserts can help with toe pain, and custom-made heel lifts can help treat plantar fasciitis, just to name a few. There is undoubtedly an insert out there to help remedy your pain. In addition to the parts of the shoe that touch your feet, the areas on the outside of your shoes are important too! Look for shoes made with breathable materials if you’re going to use them in warm conditions. Additionally, choose shoes with a bottom made with a tread that grips well in wet and dry conditions alike. It’s important to do your homework before buying your first pair of orthopaedic-friendly shoes. Many major footwear brands offer versions of their standard designs that offer some additional support, but they may not be truly specialized. Keep an eye out for companies that have a trusted reputation for quality, well-designed orthopaedic shoes. If you’re still unsure of exactly what you need, our podiatrist, Beth Pearce, is here to help. For more information, request an appointment online or call us at (904) 825-0540. Board Certified by the American Board of Podiatric Orthopaedics and Primary Podiatric Medicine.